Jon was interviewed on National Public Radio's FRESH AIR. He talks about The Circle, preparing for a tour, the songwriting process and "Work for the Working Man" (I suspect this is going to be a concert staple in 2010), his formative years in New Jersey. Merry Christmas from my Tokyo hotel lobby to all my readers... or perhaps that should be Season's Greetings, seeing as I don't know whether or not you celebrate Christmas. Regardless, I wish you all happiness. Stay safe. I am writing to you on behalf of Harpo Productions to share the details about a very special Oprah encore presentation full of surprises (literally). On Thursday, December 24th, Oprah looks back at some of the best viewer surprises over the years that are destine to make you smile. -Oprah looks back on the HUGE surprise pulled off for a special 10-year-old co-host that nearly left her in tears! -Bon Jovi gave his biggest fan a surprise of a lifetime! -The legendary Stevie Wonder surprised the Star Search Grand Champion on the Oprah stage. -Plus, one superstar is waiting in the wings to surprise an audience member (can’t tell who)! Be sure to check your local listings for the time the show will air. Thanks so much and please let me know if you have any questions! Darren: The world of music is constantly changing, not just the technology but there's still great new music being created, and every time you plug in your guitar or whatever instrument you play, it's still fun to do, so I completely understand what you are saying. There are things to learn and new people, new producers to work with etc. 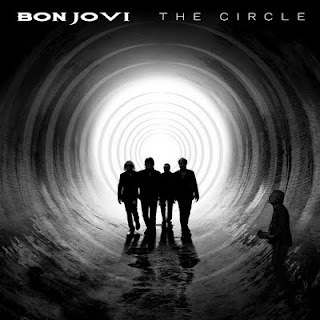 Could I ask you outside of Bon Jovi, what occupies your time? Richie: Well I'm a single dad so that takes a lot of my time. That's one of the most enjoyable things in my life. I'd have more kids if I could find the right receptacle (laughs). I have actually been working on an interesting thing. I have a clothing line that I have been working on which is pretty crazy. It's just for women and I came up with this title which is White Trash Beautiful. We tried to write the song Jon and I but it was a bit too misogynistic coming from a guy talking to a chick, so we shelved it and never really went back to it. I'm walking around my house one day and I thought, you know what? That sounds like a clothing line. So I started to put this thing together. The interesting thing about it is ... what I am going to do is distribute music on the clothes on a G drive. Check out Huey's new website here. Sorry again for this blog not being updated as much as it would normally be. I'm in Tokyo at the moment and it's hard to find the time. I also don't have any headphones with me and would prefer not to blast any video or audio out in the hotel lobby (currently the only place I can get free wireless internet). ;) I'm back in Perth in mid-January. I'm a bit behind with my blogging at the moment (I'm currently in Tokyo) but Bon Jovi will be headlining the HullabaLOU festival next year, along with Kenny Chesney and The Dave Matthews Band. The festival will take place July 23-25, 2010 at Churchill Downs Racetrack in Louisville, Kentucky. Apparently this is a trailer for a documentary about a New Jersey musician named Chris Vaughn trying to get Jon Bon Jovi or Bruce Springsteen to listen to his song. Anyone know anything about this? Dashboard Confessional will be opening for Bon Jovi on The Circle Tour from February 19 through to April 22, 2010. Meanwhile, "We Weren't Born to Follow" has been nominated for a Grammy in the Pop Performance by a Duo or Group with Vocals category. One of the other nominations for that category is "Never Say Never" by The Fray, which is a sentimental favourite for me, but I'm pretty confident Black Eyed Peas will win with "I Gotta Feeling". And finally, this coming Tuesday, I'll be flying out to Japan where I'll be for the next month so I apologise in advance if this blog isn't updated as frequently as it should be during that time. I'll do my best though. I'm also planning to write about our trip on another blog, which you should be able to access from my Blogger profile.